Pamela Kay Macdonald is an aerialist and youth girls/women’s speaker. She introduces audiences to the beauty of aerial arts and leaves motivating messages reminding everyone of their potential to overcome challenges, help others, and reach new heights. 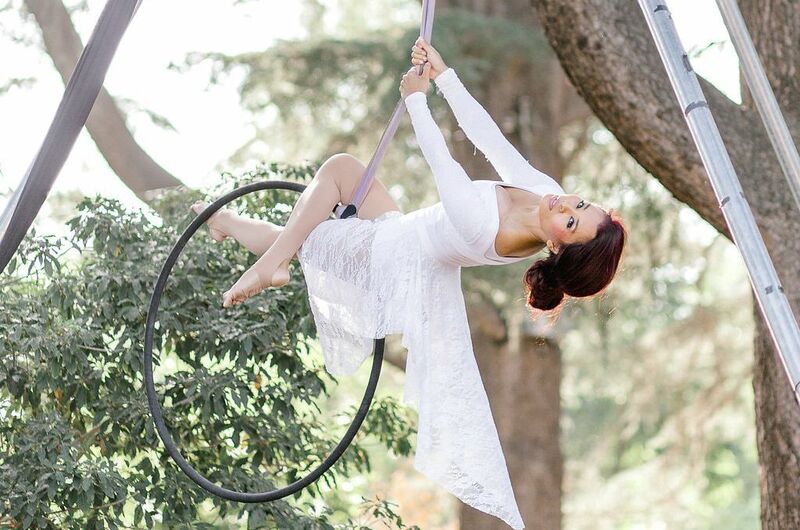 Pamela performs and trains in multiple disciplines within the aerial world of circus arts, particularly aerial hammock, aerial hoop/lyra, and flying trapeze. She offers quality solo featured acts, duo pieces, and ambience performance for private parties, film/videos, print, shows, and other events. Pamela is a motivational speaker that has reached hundreds of girls and women through her unique performance/speaking presentations that combine creative aerial acts with an uplifting message. Her presentations uplift audiences through the power of the aerial arts, music, and word, reminding audiences of their worth, limitless potential, and ability to develop talents for good. She is available to perform/speak at your school, conference, retreat, camp, fundraiser, team-building meeting, or other event. Pamela is a member of The Church of Jesus Christ of Latter-day Saints. Known as “The Latter-day Saint Aerialist,” she is available to perform and speak to Latter-day Saint girls and women at firesides, stakes, conferences, camps, and other events. She loves sharing her faith and testimony through her unique presentations that mix aerial dance and her belief in a Heavenly Father and a Savior, Jesus Christ, who truly can take us to new heights. © COPYRIGHT PAMELA KAY MACDONALD 2018-2019.